Weddings in Prague and the Czech Republic in general have gotten very popular in the last few years for multiple reasons. As I’ve organized many destination and expat weddings in the past, I understand the reason why. Guests are always super excited to spend a few days in Prague and actually get to know the city where you’ve been living for some time. Additionally, the city of Prague is super romantic due to its chateaus, cathedrals, winding cobblestone streets, and plenty of wedding venues with beautiful views. If you want to see all reasons I came up with “why to organize a wedding in Prague,” check them out here. It is up to you as a couple to decide to plan your wedding on your own or to hire the services of an experienced wedding agency. Furthermore, you also need to think of your expectations from the agency. Do you want help with only the legal legwork and the day-of coordination or would you like to have full wedding planning services? DIY WEDDING OR HIRING A WEDDING PLANNER? 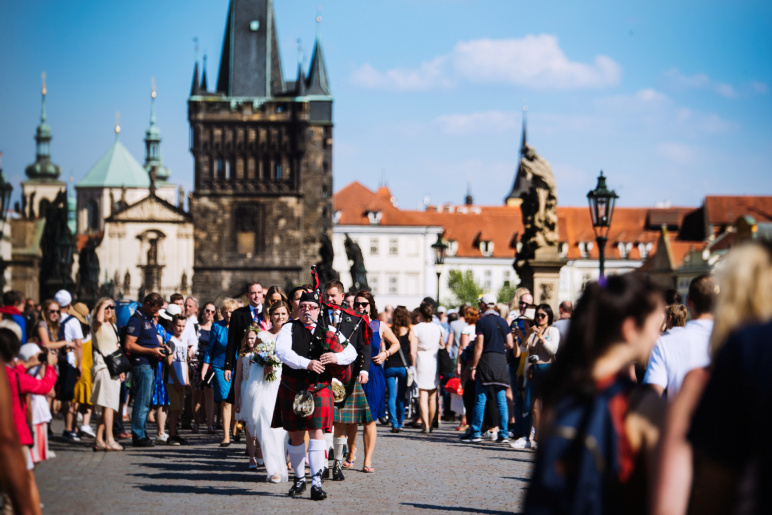 If you are an expat living in Prague, you might be able to organize the wedding yourself. However, you have to have enough time and patience to do so. Some suppliers or venue managers don’t speak English well enough or they don’t speak at all, so it might be a bit difficult. Also, it is very stressful to coordinate a larger wedding where most of the guests are coming from abroad. Many couples decide to forgo the self-planning journey and hire a professional wedding planner to help them with all of the paperwork, assistance with Czech translations, and other wedding planning duties such as finding the right suppliers. I always prefer to plan every wedding individually as I feel like each couple is unique and has different expectations, taste, and budget. I like to suggest specific suppliers that I think would suite the style and type of personalities of the couple best. Additionally, I recommend multiple venues options that would best fit the couples wedding vision. Then, we also discuss options of the pre-wedding dinner or after-wedding brunch. I strive to make the whole experience for the couple and guests unique and exciting. Additionally, I plan other details such as wedding design, wedding prints (save the dates, invitations etc. ), web pages in multiple languages, and book options for accommodations for the guests. In depth, the couple and I discuss the flowers, decor, cake, sweets and decoration details. Then of course details such as food, drinks, photographer, videographer, transportation for bride & groom and guests, etc. If you wish for your wedding to be stress-free and relaxing, I highly recommend hiring a wedding planner. This will allow you to spend as much time with your guests visiting from abroad and simply enjoy the moment. It is best to book the agency/planner at least 6 months prior to wedding. The wedding venues are usually booked in advance same as the good quality suppliers. Then of course you need enough time to manage the paperwork, especially if one or both of the couple are foreign to the Czech Republic. There are a few wedding expos happening in Prague other Czech cities during the year. If you are planning to organize the wedding yourself, it might be a place to go to get some contacts. Personally, I don’t recommend it as I know the best, original or stylish suppliers don’t go to those events. The companies attending are not the ones who will individually plan your wedding; they are “wedding-package” based companies who will not offer you anything unique. I would say the expo is only for the couples who aren’t experienced and aren’t after a stylish wedding. However, it is a good place to go if you are looking for a sale on your weddings rings. There are so many options in terms of the wedding venues in Prague and the Czech countryside. You can look at my favourite venue choices here, but of course there are more. You can choose from palaces, chateaus, restaurants, hotels or gardens. If you are looking for an industrial style venue in Prague, there are some options mostly depending on the amount of guests. You can choose all-inclusive venue where you hold ceremony, reception and accommodation at the same location. 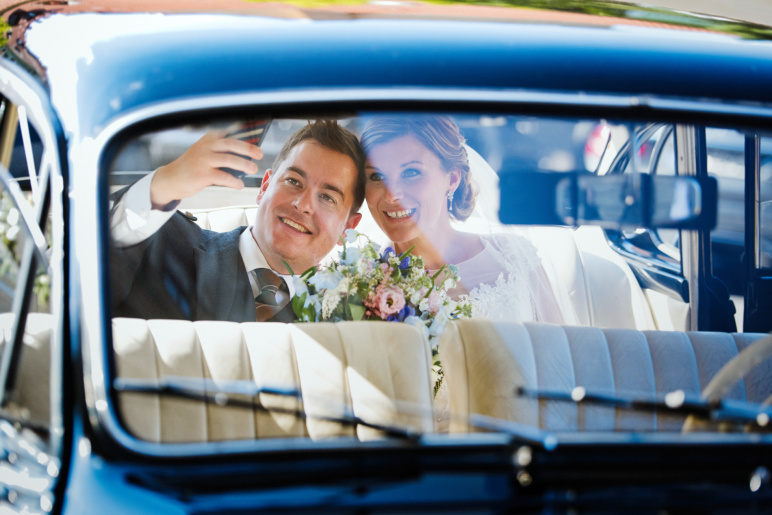 Or you can choose two venues and transport your guests in between by historical tram, historical buses, historical cars, boat or just minibuses. TIP: in the Czech Republic it is forbidden to play loud music outside after 10:00p.m. so I recommend choosing the location where you can either move inside or the whole is kept inside. GOOD TIP FOR YOU: Czechs believe that May marriages will bring them bad luck so they don’t want to get married in this month. That means that some venues and suppliers might be available compared to other months during the wedding season. The Czech Republic and especially Prague, is one of the most amazing places to get married. The river, city center, historical buildings, views, great food and drinks, and everything else combined makes for an unforgettable experience for the guests and the couple. For expat weddings, it is the best choice because they can be enjoying all the preparations, meet the suppliers, venues and be part of the whole planning process. If you are thinking of planning a wedding in Prague or outside Prague and you are considering hiring a wedding planner, don’t hesitate to contact me. I will be more than happy to meet you for a coffee and discuss your ideas and possibilities. 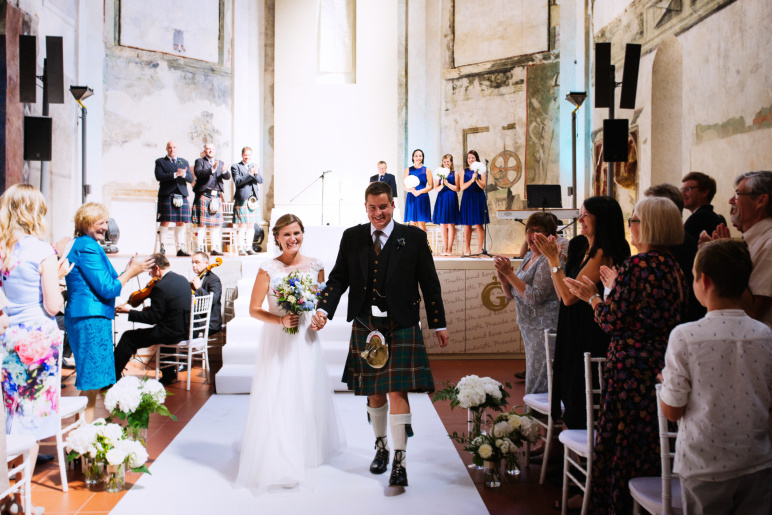 All photos are from an “expats canadian-scottish wedding” I planned in Prague. Testimonials you can find here.